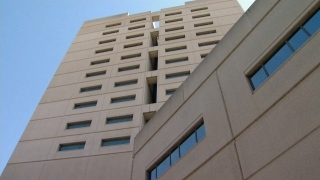 A Santa Clara County inmate who was hospitalized for nearly a month died Tuesday at Valley Medical Center, officials said. Authorities are not releasing the inmate's identity, but said he was booked into jail on a murder charge on Sept. 9, 2014. Sheriff's Office officials said the inmate last month was transported to the hospital. Medical staff was made aware the inmate had several pre-existing medical conditions during the booking process, according to officials.